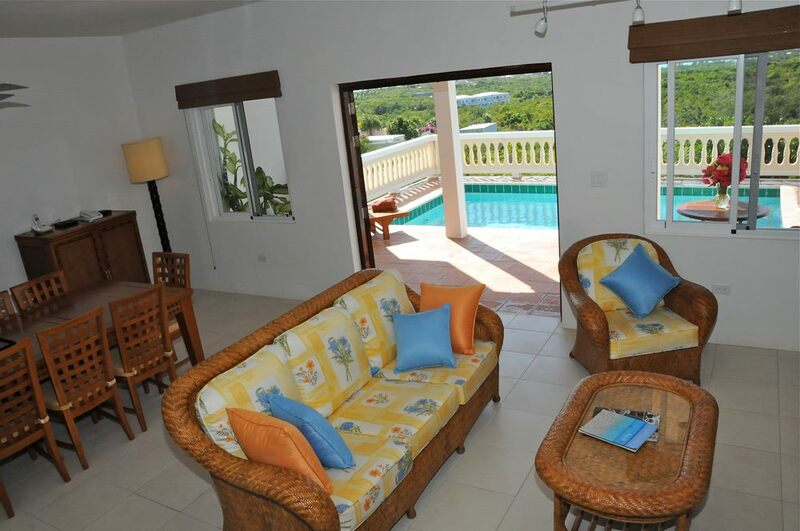 The Great Room provides an open kitchen, dining room and living room with teak French doors that open out onto the pool deck offering beautiful views of the Caribbean Sea and St. Maarten. The kitchen is appointed with top of the line stainless steel appliances and finished with custom tiled counter tops and teak wood cabinets. 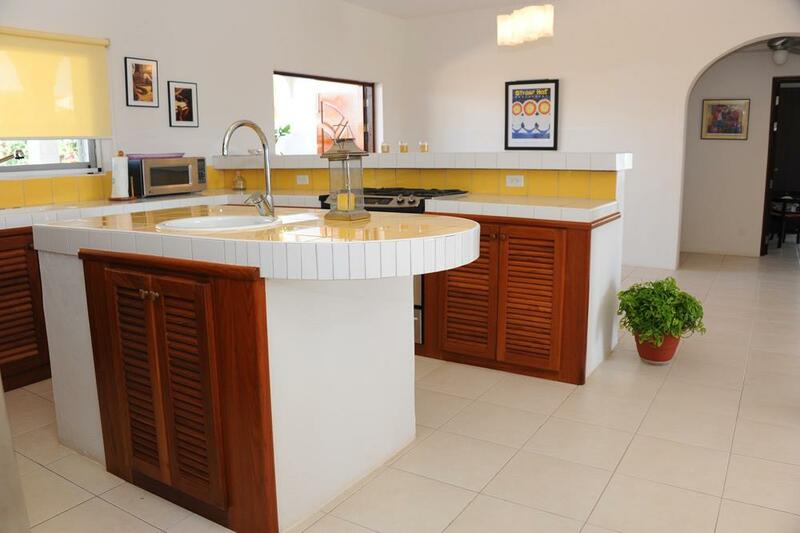 It also has a breakfast bar with stools and a tiled island with sink for food preparation. 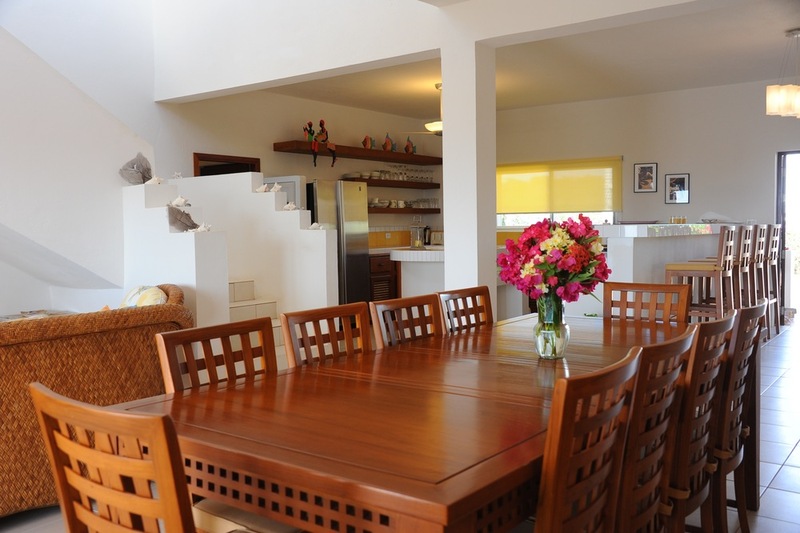 The dining room centers around a magnificent teak wood dining table imported from Indonesia, which seats 10. 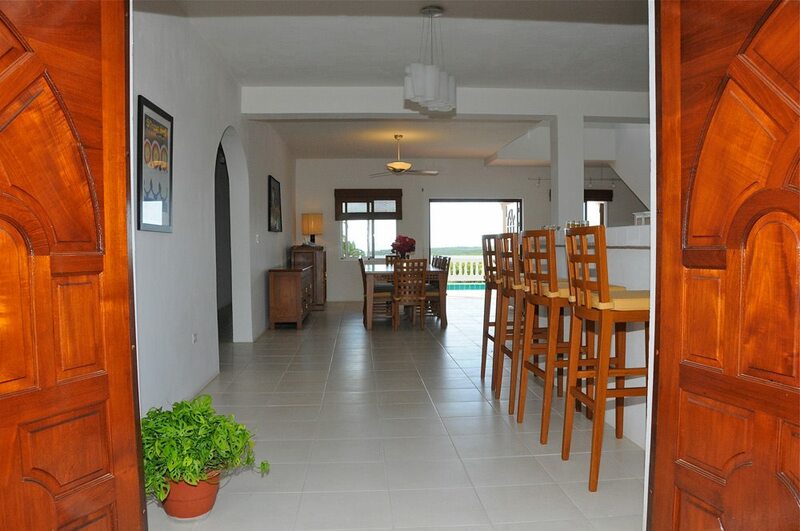 The living room has a comfortable seating area, satellite television and dvd player. 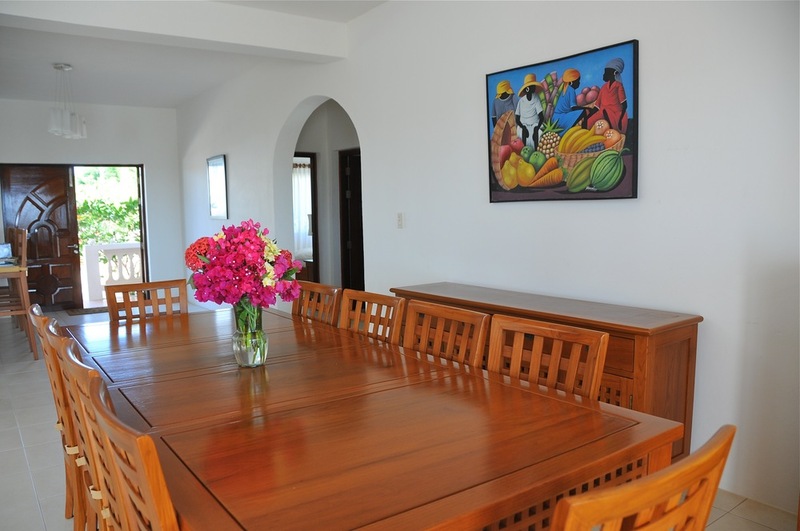 The entire room is decorated with local Anguillian art and opens out to the pool deck.